It took me three trips from the basement. Three times I walked through a dark hallway, past what smells like it might be a either a dead body or some long forgotten trash in my landlord’s locked room, and up the creepy stairs to the side door of my basement. The first trip was the bar, the second the 10lb plates, and the third the 5lbs, 2.5lbs and clips. 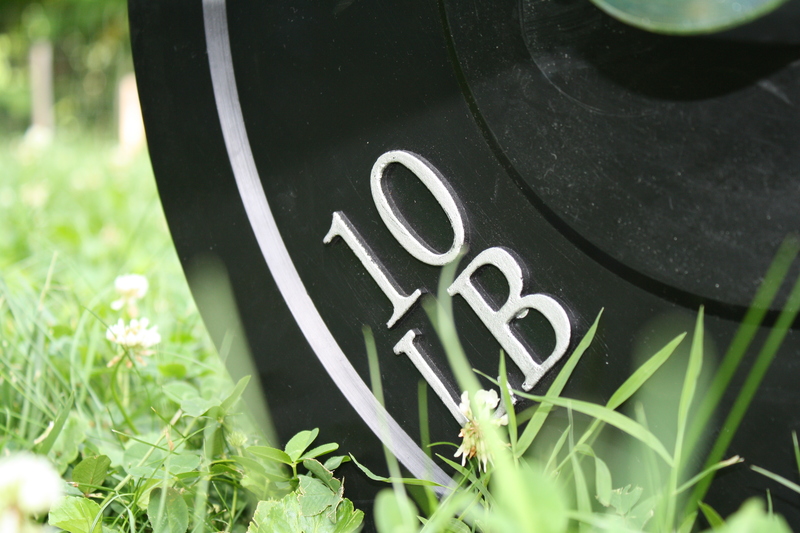 I decided to do some snatches and a front squat WOD…mostly because I didn’t feel like making more trips to the scary basement, and I only really needed the plates that were already lying in the grass. My snatches were pretty shaky– that’s what you get when you work out in a basement where your hands scrape the rafters. Then I did 4 rounds of 10 front squats (65lbs) and 10 burpees. By round three I was wheezing, dripping sweat, and wanting to quit. The crazy in me kept going and I finished in 6:23. I’ll take that. One more thing knocked off my list! What does the nice weather have YOU doing outside? 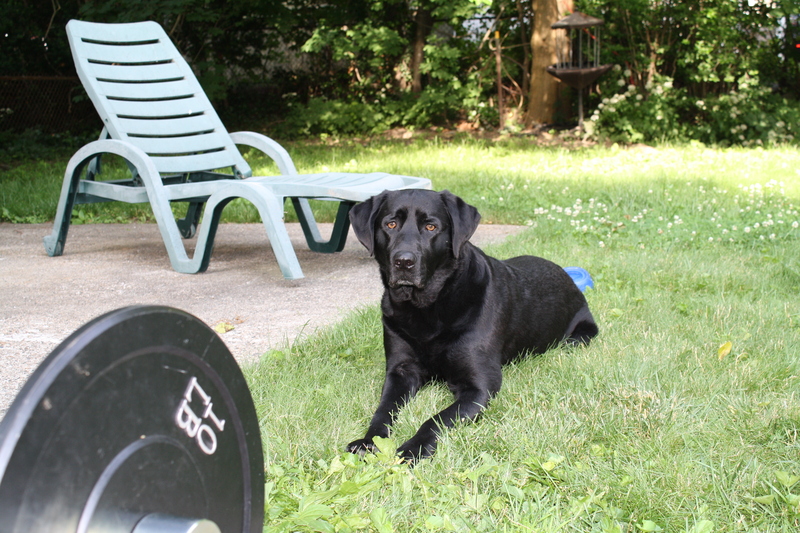 That sounds like a kickass workout and your training partner is adorbs.